Spread over 20000 sq. ft. area, the hospital houses 4 ultra-modern modular OTs, state-of-the-art rehabilitation unit, in-house pharmacy, and in-patients? family waiting area to name a few. 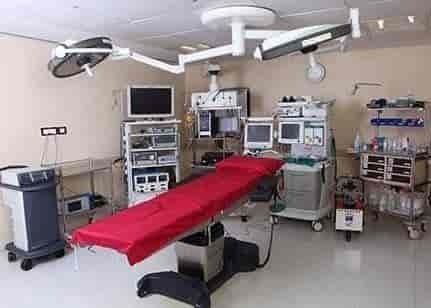 Avis Hospitals is a very well equipped surgery centre dedicated to Minimal Access Surgery (MAS) / Minimal Invasive Surgeries (MIS) / procedures . Backed up by expertise spanning over 15 years, Avis Hospitals strive to provide patients with the utmost care and comfort. Avis team has an extensive experience in surgical procedures that are minimally invasive and their skills have been honed over thousands of surgeries performed over years.